Call or email Loretta Herron at 435.843.2143 to sign up to volunteer at one of our community projects listed above! 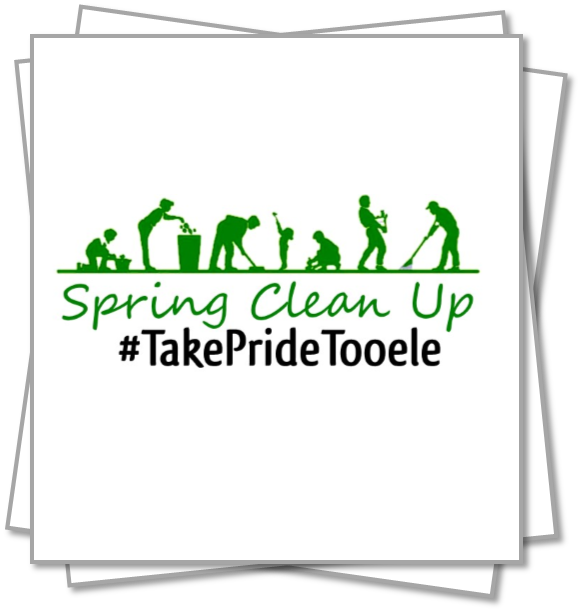 #TakePrideTooele is the theme for our citywide spring clean up event! In 2018, Tooele City Mayor Debbie Winn, staff members, and local residents participated on a committee to plan this annual event. We have come up with several ways for residents to join in the fun and take pride in our City! We are excited for the 2nd annual Spring Clean Up in 2019! The official event will take place throughout April and May, however projects to keep our City beautiful happen year-round! There are many opportunities for everyone to participate. We are extending an invitation to our residents of all ages to clean up their own property. We also invite you to offer help in your own neighborhood to those who are not able to take care of their own property (don’t forget our seniors and those who are disabled). 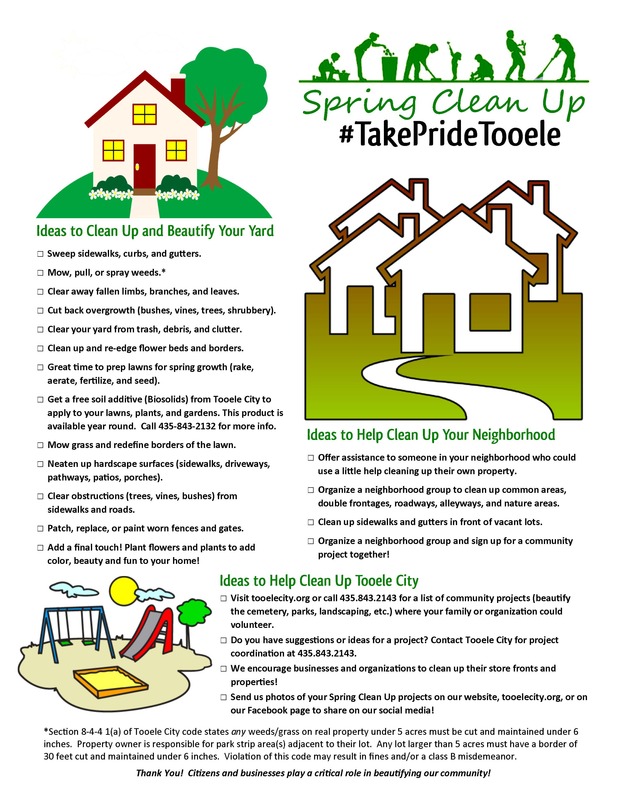 To get rid of large items that will not fit in a trash can, Tooele City provides a monthly Bulk Waste Pickup Program. 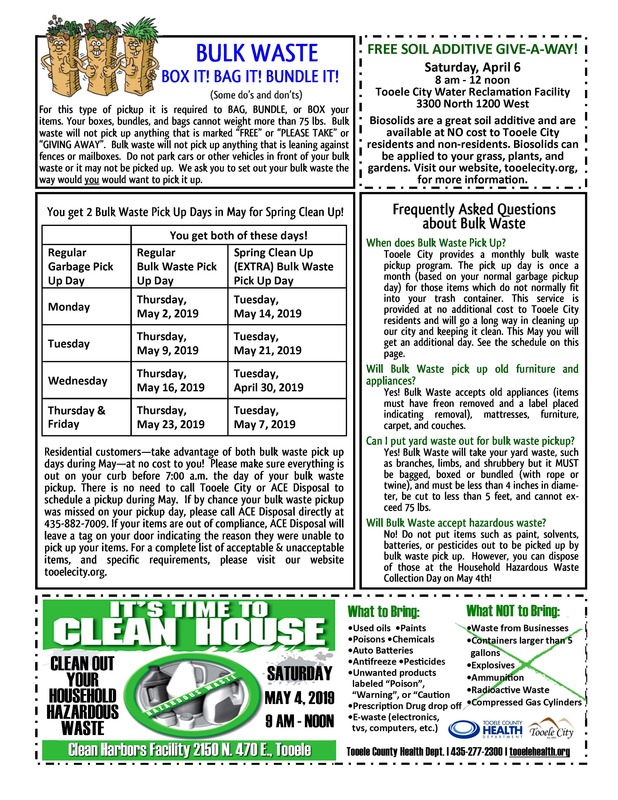 During the month of May we will double the bulk waste pick up days for residents. Please check back for May’s pickup schedule. Hazardous waste items are not acceptable for bulk waste pickup, but may be disposed at the Household Hazardous Waste Collection Day on May 4, 2019. You may contact the Health Department for more information about that event. to call our Public Works office at 435-843-2132. We have a list of community service projects listed above that can be completed by youth groups, civic organizations, church groups, businesses, families and any other individuals or groups that are willing to volunteer to help! 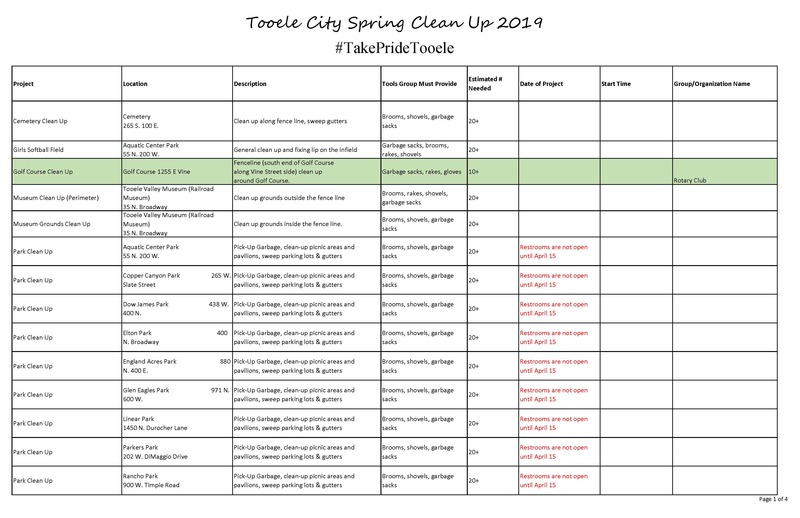 If you would like to sign up for one of the projects on the list, please call Loretta Herron with Tooele City Parks and Recreation at 435.843.2143 to sign up today! This is a great opportunity to serve! Citizens and businesses play a critical role in beautifying our community! We would love to see the “before” and “after” photos of your hard work! 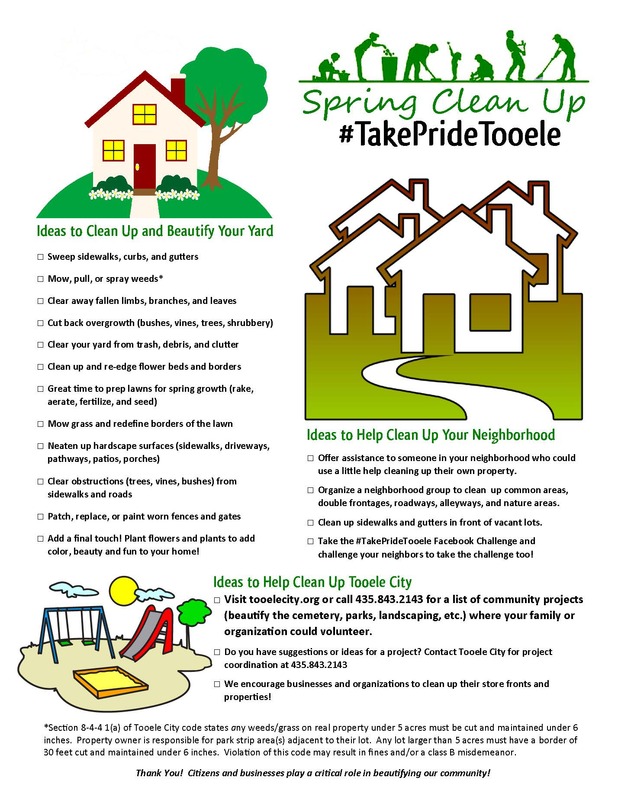 Share your photos with us on our website or on our Facebook Page using #TakePrideTooele.